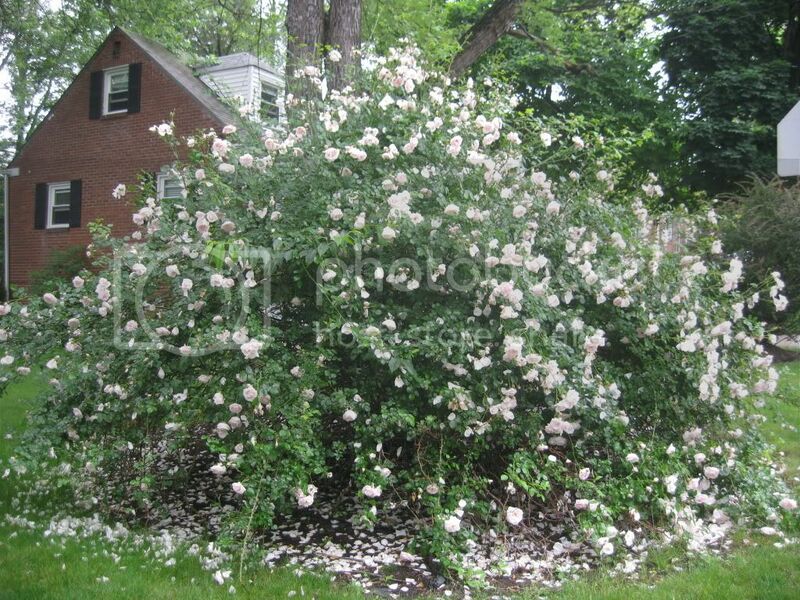 We just bought a home and inherited an enormous and beautiful rose bush in the yard. Neighbors tell us it's been here 15+ years and never been pruned/shaped (past owners did cut flowers frequently, as we have been). It's FULL of blooms now and is probably over 7 ft. tall and 10 ft. in diameter. We're 100% new to gardening and have no idea how to care for it (we want to ensure it keeps blooming like this in future seasons), or even what kind of rose bush it is. Where do we start? Any guidance would be greatly appreciated. Try the Sticky at the top of the Rose Forum as a piece of introductory information, then check out the links in that thread. There are several posts in the thread from folks who no longer actively participate, and it would be a shame to lose their input. Re: Rose Bush Care for Beginners? 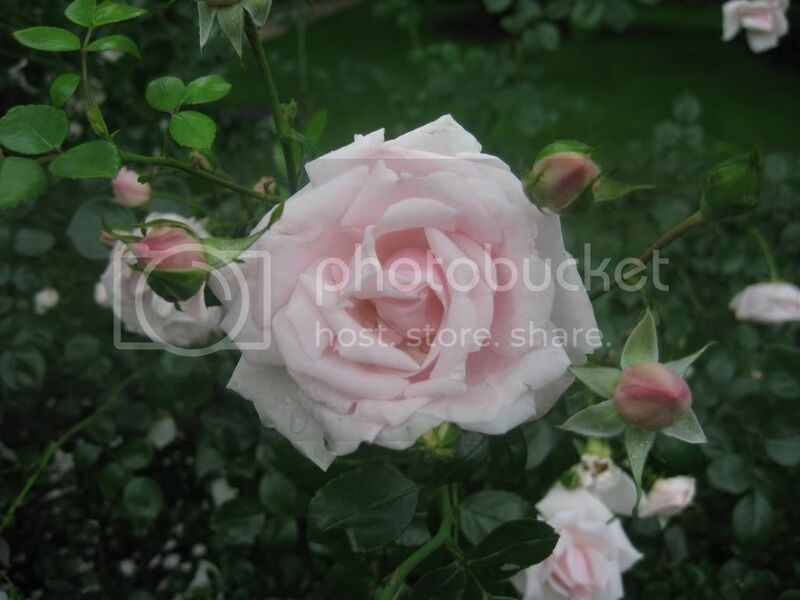 A good place to start with info on rose care, would be David Austin Rose's. In addition to being a breeder of some great roses, he's one of the foremost experts on rose care in the world. Very, very knowledgeable. Any chance you could take a picture of your rose bush and post it here? Perhaps I might be able to identify it for you. 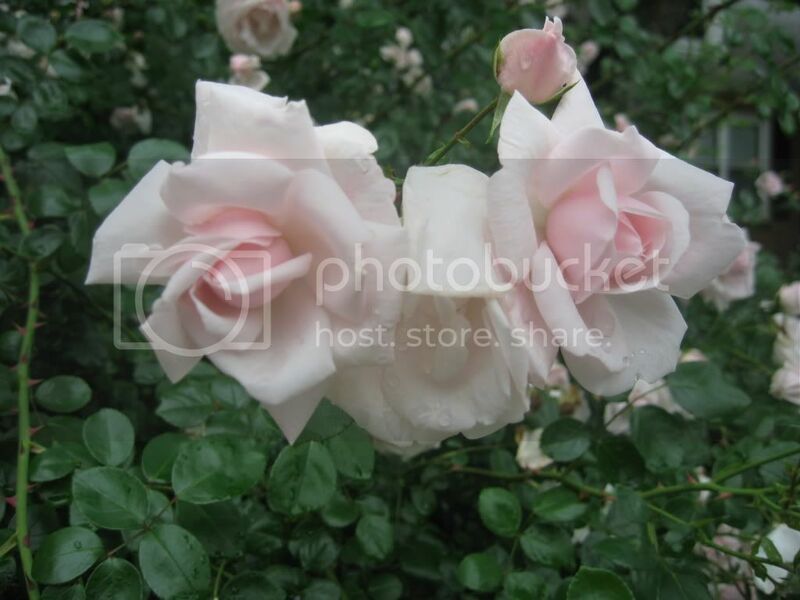 Re: Rose Bush Care for Beginners...do you know what kind? Thank you for pointing us toward some good places to start - we will check them out! Here's what our roses look like...do you know what kind they might be? newtogardening wrote: Thank you for pointing us toward some good places to start - we will check them out! Based on what I "see"....It looks a lot like New Dawn, which is a climber, but I've know people who've trained it as a large shrub. can you describe the scent, if any? New Dawn has what may be described as a moderate scent. It could of course possibly be one of a number of pink roses, but for now, I'm saying maybe New Dawn. I've been growing roses for about 40 years or so, but you can never know every rose. The neighbors are probably talking to you about it in the hopes you didn't have plans to remove it because they enjoy it so much too. Yes, the roses have a perfume fragrance...not overly strong. You can smell them when you're in very close vicinity of the rose bush. Thanks for your input - I did a couple of web searches for "New Dawns" and our rose bush seems to fit the characteristics. We definitely do not plan to remove it!